Devon Wills is a history maker. USC women’s lacrosse assistant coach and defensive coordinator Devon Wills is first woman ever to be picked up by a Major League Lacrosse (MLL) team. Following the 2014 MLL supplemental draft on Monday, the New York Lizards acquired rights to Wills out of a player pool. Wills will be invited to attend the Lizards’ training camp beginning the first weekend of April. In her second season at USC, Wills, a graduate of Dartmouth College, still ranks second on the school’s all-time saves list with 538 career saves and a 7.14 goals against average. She was a three-time member of the All-Ivy League first team and is a three-time All-American. 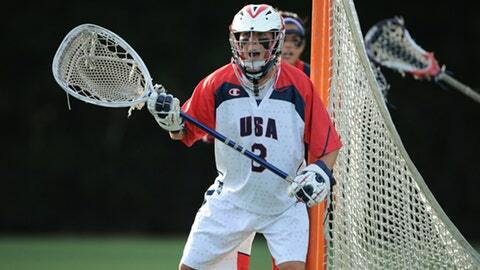 Wills is also regarded as the best female goalie in the world as a member of the U.S. National Team. She has since served as the U.S. goalie and helped Team USA to gold medals in 2009 and 2013. In 2013, she was named the FIL World Cup All-World Team.